First Listen: Japandroids, 'Celebration Rock' Celebration Rock is the sound of a band streamlining its boundless energy in an effort to craft the awesomest possible moment, in the moment, only to top it seconds later. Japandroids' new album, Celebration Rock, comes out June 5. Japandroids' music proves, yet again, that superlatives aren't interchangeable: You might not call the guitar-and-drums duo's songs "great," exactly, but damned if they aren't awesome. The band's 2009 debut, Post-Nothing, is brash and blistering, yet also vaguely formless — the sound of two guys who clamor to make so much heroically uplifting noise, they sometimes wind up stepping on each other in the process. Post-Nothing passes as a bit of a blur, but its remarkable follow-up is the sound of those same guys streamlining their energy in an effort to craft the awesomest possible moment, in the moment, only to top it seconds later. The appropriately titled Celebration Rock, out June 5, finds the perfect midpoint between the joyously smeared-out bash of its debut and the Springsteen-ian, hold-on-to-the-majesty-of-youth anthemics of The Gaslight Anthem. Celebration Rock's hand-on-heart mission gets laid out in its very first track, "The Nights of Wine and Roses," in which guitarist Brian King and drummer David Prowse make a case for debauchery's place in a life worth living — in the process reminding everyone to "yell like hell to the heavens." 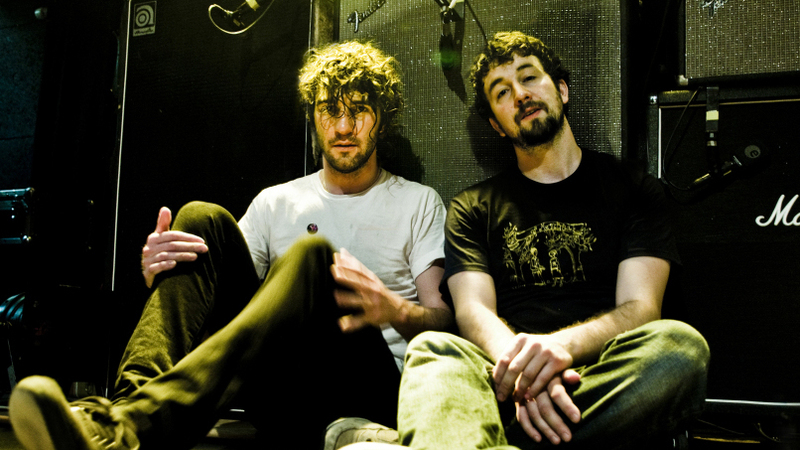 From there, Japandroids' brash, affirming ruckus never lets up and never gets old: In 35 minutes and just eight songs, these guys kick and scream ("Let rip, but never let go! "), fill their choruses with "whoa-oh-ohs," and generally sing the praises of a loud, messy life. It's fitting that Celebration Rock both starts and finishes with the sound of fireworks — figuratively, they never actually stopped.